Winemakers in northern Argentina are shining a light on the tannic Tannat variety to prove that the grape, far from being suited only to blends, is capable of producing “fruity and friendly” single varietal wines with soft, round tannins. Typically associated with Uruguay, the high tannin variety is also at home in Argentina’s northern province of Salta, where its production is a source of local pride among winemakers. The majority of wineries in Cafayate produce Tannat, using it mostly in blends with a handful of wineries producing single varietal wines. “Tannat was always used to make blends here,” Mariano Quiroga Adamo, winemaker at El Porvenir in Cafayate, told db on a recent visit to the region. “Very few wineries produce a 100% Tannat. Some people think this grape is more tannic, but today it is possible to offer a fruity and friendly Tannat”. Thibaut Delmotte, winemaker at nearby Colomé, home to the world’s highest vineyard and part of Hess Family Estates, said he was “surprised” by the quality of Tannat produced in Cafayate when he arrived to the region from Burgundy. Adamo is such a fan of the variety that he has had the variety’s name tattooed on his forearm, describing the variety as a “misbehaving child”. 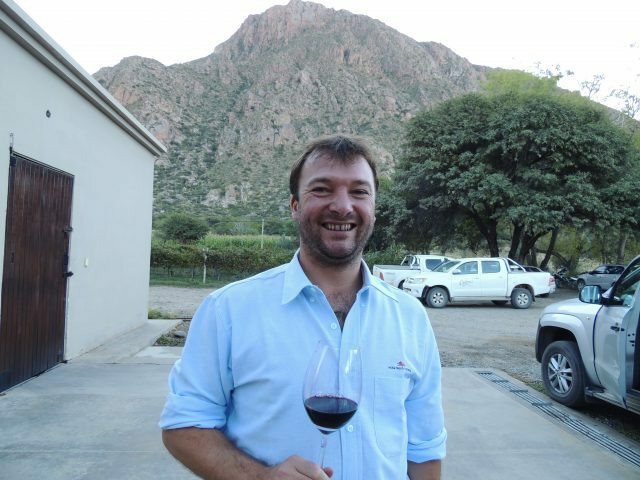 Before taking up the position of winemaker at El Porvenir in 2010, Adamo worked at big name producers including LVMH Chandon SA and Catena Zapata. 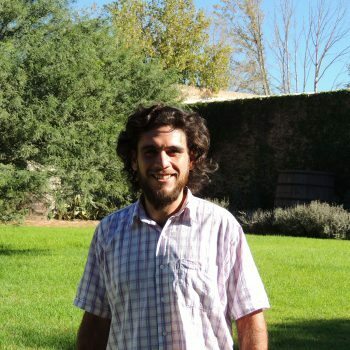 Adamo arrived in Cafayate in October 2010 and since then has been working as El Porvenir’s principal winemaker with the support of US wine consultant Paul Hobbs. 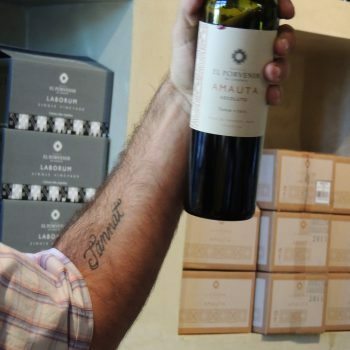 Under Adamo’s eye, El Porvenir produced its first single varietal Tannat from the 2012 vintage under its Amauta label, producing just 5,000 bottles. In 2015, the winery produced some 40,000 bottles. Adamo now considers Tannat to be the second most important red grape variety in the region, after Malbec. El Porvenir’s Tannat vines are around 65-years-old and are planted in its Finca El Retiro vineyards located at 1,650m above sea level in Cafayate. But while the production of Tannat is a source of pride among producers in Cafayate, Adama admits it is hard sell, particularly in international markets compared to Malbec. “The variety is not well known in the market, it’s very hard work in the UK.” notes Adamo. Tannat was introduced to the region by the first immigrants from south west France with plantings throughout the valley widespread. It has become, according to Delmotte, an “emblematic variety” of the Calchaquí Valley, which crosses the provinces of Catamarca, Tucumán, Jujuy and Salta. Colomé produces a 100% Tannat under its Lote Especial label from its Finca La Brava vineyards, located some 1,700m above sea level in Colomé, Salta. Dark in colour the wine has a floral nose with notes of black fruit and fresh, round tannins. However Delmotte admits that efforts to build a reputation for Tannat, a variety that remains relatively unknown to consumers, is a work in progress. It’s great to hear about new outbreaks of Tannat around the wine world. I love Colome’ Malbec with Tannat blended in. The softer side of Tannat is emerging in Texas a contender for the signature variety in the state. It grows better than any variety I have seen so far in the hot climate of Texas Hill Country. Bending Branch Winery in Comfort Texas is leading the way with soft Tannats. In the last 5 years about 20 vineyards in Texas have planted Tannat. Tannat has a great future as the variety finds climates that are best fits and winemakers use techniques to retain but soften the Tannins.